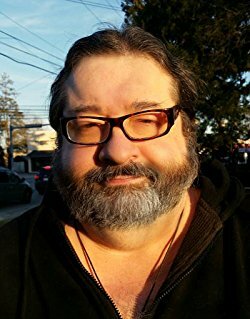 Lon Strickler is a fortean researcher, author and intuitive who writes and mentors on a variety of subjects. Lon is a resident of Hanover, Pennsylvania. At an early age, Lon realized that he had the ability to sense spiritual energy and found this useful in the field when conducting investigations. Most of his early field work concentrated on spiritual activity at historical locations, in particular the Gettysburg & Antietam battlefields. In 1981, Lon experienced a "Bigfoot" encounter near Sykesville, MD while fishing on the south branch of the Patapsco River. As a result of the incident, he included cryptids as an important part of his research. Lon started the Phantoms and Monsters blog in 2005, which has steadily grown in popularity and read daily by thousands of paranormal enthusiasts, investigators and those seeking the truth. Lon's research has been featured on hundreds of online media sources. Several of these published reports have been presented on various television segments, including The History Channel's 'Ancient Aliens',' Syfy's 'Paranormal Witness'​, 'Faked or Faked: Paranormal Files,' & Destination America's 'Monsters and Mysteries in America. '​ As well, he has been interviewed on several radio broadcasts, including multiple guest appearances on 'Coast to Coast AM. '​ He was also featured on Destination America's 'Monsters and Mysteries in America'​ television show for 'The Sykesville Monster'​ episode.